Last week, members of the Movimiento de Recuperación y Titulación de la Tierra y Liberación de las Playas de Zacate Grande (Movement for the Recovery and Titling of the Land and Liberation of the Beaches of Zacate Grande) were made aware of an article published in the Honduran daily La Tribuna on Sunday, 15 January, 2012. The article stated that the Dinant Corporation had given land titles to various leaders of the movement, who were named in the article. The group rejects these claims in a public statement published here on the blog zacategrande.blogspot.com on 19 January, 2012. The statement reiterates that the leaders mentioned in the Tribuna article have not benefited from said individual land titles, and that, according to them, the Dinant Corporation is not the legitimate owner of the land and therefore not qualified to hand over such titles. 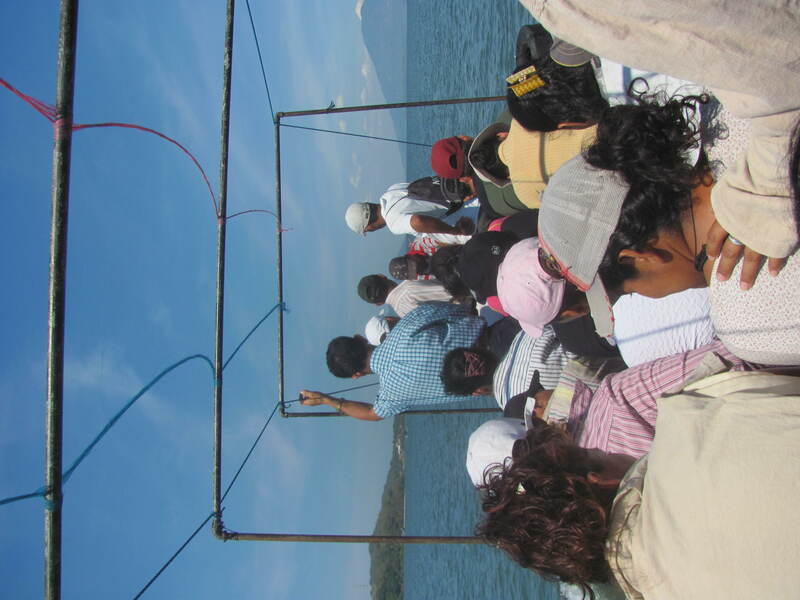 The Movement considers the article to be a clear attempt to deepen existing divisions and create additional rifts among the residents of peninsula of Zacate Grande, located in on the Gulf of Fonseca on the Pacific coast of Honduras, and to sow doubt in the national population with respect to the true nature of the struggle for land on the peninsula. 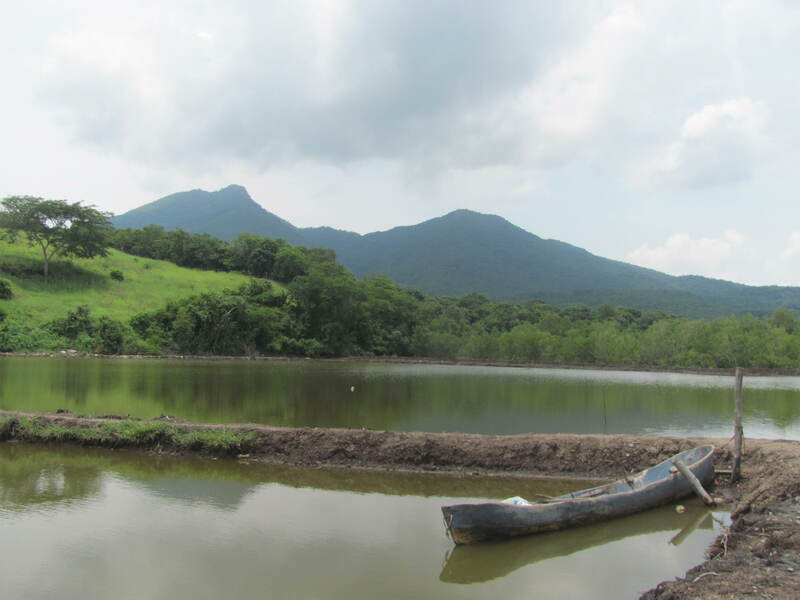 Communal shrimp farms on Zacate Grande. September, 2011. The article published 15 January also refers to an “Association of Youth Environmental Reporters” with a website listed as www.somoszacategrande.org [which on the date of this posting, 23 January, 2012, was not yet online]. Youth reporters with the community radio La Voz de Zacate Grande (The Voice of Zacate Grande), who created and manage the radio station as part of the Asociación para el Desarrollo de la Península de Zacate Grande (Association for the Development of the Peninsula of Zacate Grande, ADEPZA) believe that the creation of the parallel organization mentioned in the Tribuna article can be interpreted as an effort to confuse the Honduran population and make them think that the youth at the radio station, and ADEPZA, are in favour of the activities of the Dinant Corporation on Zacate Grande. They stated to PROAH that they are concerned that the formation of this parallel group of young people will serve to try to whitewash the image of the Dinant Corporation and its owner Miguel Facussé in their region, nationally, and internationally. Reporters with The Voice of Zacate Grande receive ID cards from the Ministry of Security identifying them as recipients of precautionary measures from the IACHR. September, 2011. Reporters at The Voice of Zacate Grande have been granted precautionary measures from the Inter-American Commission for Human Rights (IACHR) due to the insecurity they have experienced as a result of their work as human rights defenders in the region, defending the right to freedom of expression and the right to land. 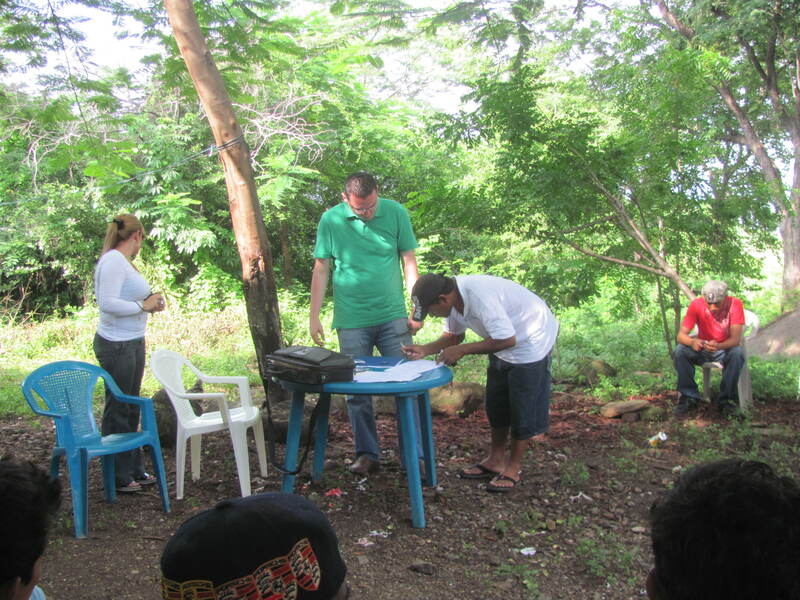 The radio is located on recovered land in the village of Puerto Grande known as Playa Julián (Julián Beach). These lands are referred to in the Tribuna article as the subject of a lotification project to increase the town limits of Puerto Grande. If such a lotification process were to take place where the radio station is located, it would be in violation of the current precautionary measures granted by the IACHR, which cover the physical location of the radio station. Campesinos on the peninsula are afraid that the land conflict could intensify again in the next rainy season. In their experience, during this season, after planting, they have suffered more direct attacks against them as individuals and the lands they have cultivated and consider to be communally owned by all legitimate residents of Zacate Grande. Residents of Zacate Grande travel to the Island of Amapala, where the local courthouse is located. May, 2011. ADEPZA was waiting for communal land titles to be granted for their communal lands under decree 18-2008, a law created under the government of Manuel Zelaya that stipulated a process for land expropriation in cases where unused land had been occupied and cultivated by campesinos for a minimum number of years. According to members of ADEPZA, they received notice from the Instituto Nacional Agraria (National Agrarian Institute, INA) days before the coup d’état on 28 June, 2009 that there titles were only missing one official signature. After the coup, however, they were not able to acquire those titles. The decree was eventually declared unconstitutional by the Supreme Court in 2011 after an appeal was filed by the Federación Nacional de Agricultores y Ganaderos de Honduras (National Federation of Agriculturalists and Ranchers, FENAGH). According to its website, the Dinant Corporation was founded in 1957 by businessman Miguel Facussé Barjum. The company has been implicated in various cases of human rights violations by various international human rights organizations, particularly in the lower Aguán Valley in the north of Honduras, but also on the peninsula of Zacate Grande. PROAH has accompanied the Association for the Development of the Peninsula of Zacate Grande (ADEPZA) since January 2011. All fotos by PROAH. The statement below was original published in Spanish here. Friends and colleagues. As is public knowledge, the media octopuses continue to legitimise (according to them) attacks on the people, and being used as the big landowners’ intermediaries, as in the case of La Tribuna newspaper and Miguel Facusse Barjum. On Sunday 15 January, in one of La Tribuna’s many publications, Miguel Facusse made use of his family ties to the newspaper’s owner to publish a flattering article on his wildlife park (which is what the Zacate Grande Peninsula has been converted into, according to the article), thereby covering up the manhunt unleashed against the country’s campesinos, smearing the region’s leaders by stating that in 2010 they were the beneficiaries of the fourth round of granting land title, and threatening through this newspaper a fifth round of granting land titles, which this time would entail subdividing the land in the community of Puerto Grande, in the areas known as El Curil and Playa Julián. Such a move would lead to a confrontation even more intense than the one on 22 August 2010, when employees of Facusse wanted to take possession of the land that we campesinos had sown. 1 – It states that species such as the macaw, iguana, and white-tailed deer are released into the wild by this businessman. This is not true, as he keeps them in captivity to be used as he sees fit. 2 – We reject Facusse’s argument that there would be no wild species if it were not for the breeding centres. The Zacate Grande Peninsula by tradition and by its very nature provides habitats for different kinds of animals and, contrary to what he says, breeding centres have never been necessary. In reality, his son Mauricio Facusse has been the most destructive force that the wild area has known, in practising his favourite sport of hunting white-tailed deer. 3 – We reject the argument that Facusse is creating jobs, particularly as far as women are concerned. As of some years now he has fired the few local people he employed, because he distrusted even his own guards. In reality, no kind of work or source of employment created in his tourist complex benefits the people in the area, as he now imports his workers from other regions. 4 – We reject the statement that leaders Pedro Canales, Antonio Zerón, Benito Pérez, Danilo Corrales, Lolo Chirinos y Mariana Posadas benefited from receiving land titles under the fourth round supposedly granting these deeds. In 2005, Facusse took advantage of a period when there were talks between him and Zacate Grande’s campesino leaders to take over the access routes to the top of El Cerro (The Hill), as his lawyers requested a remeasurement of half of El Cerro, and once this had been carried out, he put wire fences across all the lanes and erected signs saying ‘Propiedad privada, prohibido el paso’ (‘Private property – keep out’). The arrest and imprisonment of 12 campesinos on 13 April 2005. They were taken away in the early morning, their houses surrounded by over 150 police officers from the department of Valle, who then transferred them to Nacaome Prison, by order of that municipality’s court. The eviction of the Cárcamo family from Playa Las Gaviotas (Seagull Beach) in 2002. Eviction of Doña Mariana Posadas’ family in Puerto Grande in 2008. Legal proceedings against over 60 campesinos for the crime of land theft, with the result that they are still subject to alternative measures [medidas sustitutivas – that is, alternative to prison] imposed by the court in Amapala. The constant persecution of the people of Zacate Grande by Facusse’s guards. WE CONDEMN Miguel Facusse’s malicious campaign, seeking to monopolise the young people of the Communities of Zacate Grande, with whom he is now forming an Association of Young Environmental Reporters of Zacate Grande (Asociación de Jóvenes Comunicadores Ambientalistas de Zacate Grande) with the sole aim of widening the divisions between the people and discrediting the fight for land. We are a movement of men and women who are fighting, with many ideas but also with clear and specific objectives – Recovering and Titling the Land and Liberating the Beaches of Zacate Grande. We therefore do not accept any smears targeted at our colleagues, nor Facusse’s dirty publicity campaigns, under which he grants land titles which he does not have, and never has had. “CAMPESINOS, WITH THEIR STEADFAST RESOLVE TO FIGHT UNTIL THEY WIN OR DIE, ARE REBELS UNTIL DEATH OR FREEDOM COMES” Ernesto Che Guevara. COMRADES FROM THE COMMUNITIES OF ZACATE GRANDE – COME AND JOIN THE STRUGGLE!!! BECAUSE THE LAND BELONGS TO THOSE WHO WORK IT AND LOVE IT!!! BECAUSE THE LAND CAN NOT BE SOLD – IT IS TO BE RECOVERED AND DEFENDED!!! THROUGH THE SOLIDARITY AND DECLARATIONS OF THE PEOPLES OF THE WORLD, WE ARE NOT ALONE!! !